A marine biologist studies living things that live in or near oceans. Therefore, they will study everything from the smallest organisms to entire coral reefs. Our marine biologist job description will cover what these professionals do, typical responsibilities, skills that are considered important, education required, and their daily work schedule and job outlook. After reading this article, you should have a clearer definition of marine biology and the qualifications that marine biologists have. What Does a Marine Biologist Professional Do? A good marine biologist asks research questions and then plans a study to answer those questions. An example research question that a marine biologist would ask is what are the effects of oil spills on pelicans in a certain area. They would share their findings in both academic and popular papers to let people know what they learned. Even more, a marine biologist may have to work in dangerous conditions and scuba dive to explore the sea life. They need to know how to use various technologies both in and out of the lab. Studies the life cycle of humpback whales to understand their reproductive strategy. Estimates the number of a particular species to assess their standing on the endangered species list. Writes and publishes academic papers to share findings with the scientific community. Communicates findings with the public through popular papers or appearances on media such as National Geographic or the Weather Channel. Makes research of sea life farms and makes recommendations for animal care in these farms. Goes to areas where a manmade disaster has occurred such as oil spills to assess the potential damage to sea life in the area. Deep-sea dives to explore rare or uncommon animal species. This list was based on a list by the Center for Ocean Sciences and Career Excellence. Research Skills. Marine biologists must be able to conduct successful research. Therefore, they need to complete a literature review, plan a research question, design the study, collect and analyze data, and publish results. Teamwork Skills. Scientists rarely work alone, and marine biology is no different. Thus, these professionals must be able to work as part of a team and communicate with all team members to have a coordinated effort in their work. Observation Skills. Marine biologists must enjoy studying sea life and spending extended periods of time observing. Being able to observe astutely will generate new ideas for research and understandings about how life works. Analytical Skills. Good research involves analyzing data in a way that is insightful or new. Marine biologists must be able to look at the data collected and know which analytic methods would prove useful to that dataset. There is no prior work experience required, however, there are varying education levels required for marine biology jobs. All marine biologists need to have a bachelor’s degree and many positions require a master’s degree or Ph.D. Common majors are zoology or biology. However, competitive applicants should demonstrate related experiences through school or internship opportunities. All marine biologists have a bachelor’s degree. The most common majors in undergraduate studies are biology, fishery biology, wildlife science, zoology, large animal science, or oceanography. In addition to excelling in coursework, candidates who want to have the most competitive application for positions will have co-curricular experiences that demonstrate an interest in research, science and working in natural conditions. In addition, evidence of teamwork or leading a team would be beneficial. After the undergraduate degree, many people interested in marine biology will pursue their master’s degree. Common majors at this level are zoology, fisheries, oceanography, and biology. They don’t need licenses or certificates to practice as a marine biologist. 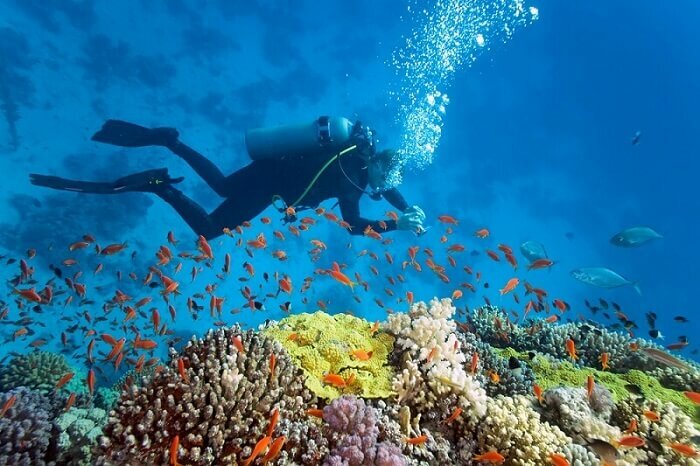 However, it is recommended for marine biologists to obtain their SCUBA diving certification. However, people who want to teach at the university level or lead research teams will typically have their Ph.D. in a marine biology-related field. Due to the nature of their education, a marine biologist job description doesn’t require experience. Master’s and doctoral level studies provide opportunities for research and building an agenda in the field. This agenda provides an experience that would otherwise not be possible. Even though it doesn’t require experience, this is a very competitive field. Therefore, a student who has obtained one or more internships in a biology-related field will strengthen their resume. Additional sources of experience come in the form of research teams in school and job shadowing outside of school. A student could even obtain a research assistant position in a marine biology lab. Also, students interested in being a marine biologist should make this intention clear to their advisor and faculty members. This will allow those with more networks and connections in the field to identify possible educational experiences for the student. Marine biologists typically work a 9 AM to 5 PM office schedule. However, they have more flexibility in their job than an office administrator or bookkeeper, for example. Also, these professionals could teach a class or conduct outreach in the evening and work on grants at any time of the day. In addition, they may have to conduct fieldwork on the weekends as much of their work is dependent on the weather. Marine biology is a very competitive field. Due to the nature of the position, most marine biologists need to practice somewhere on the coast. This limits the number of institutions and companies that are looking to hire marine biologists. In addition, there are more graduates than available jobs. Those with their Ph.D. will be competing for the same grant money, and according to a current marine biologist, they fund only approximately 10 percent of grants. While the salary for a marine biologist is of $19.40 per hour and $51,627 per year, that does not tell the whole story of their job. There are many required responsibilities, and those exceed the typical number of hours these professionals theoretically work. According to the National Oceanic and Atmospheric Administration (NOAA), a marine biologist job description does not refer to one career. Many people work with structural or functional parts of the sea that refer to themselves as marine biologists. All of these people have to work with the sea in some scientific manner. However, some people hold the typical job of marine biologist where they study sea life of living things. Therefore, naturally, there are different types of marine biology work that have more job opportunities than others. Being a marine biologist means working in a field with positive visceral associations stemming from popular culture movies. However, the reality that the marine biologist job description shows is that this is a job with a high level of education required and a very competitive job market. That said, if you have a passion for marine life and enjoy collaborating with others on research, being a marine biologist is a great choice.